This weekend was totally awesome!!! I know I only seem to talk about my weekends, and that's because I work a full-time job all week, consisting of at least 50 hours with 2 hours of traveling a day, so there is no creating time til the weekend. One of my doggies, Sweet Pea, woke me up Saturday and Sunday at 8 a.m., so off to the studio I went. I have entered two swaps on Y.P.P. (Your Paper Pantry) and was able to finish 90% of my Travelogue. Next weekend I will try to start on my other, which are ATC's. Can't wait! 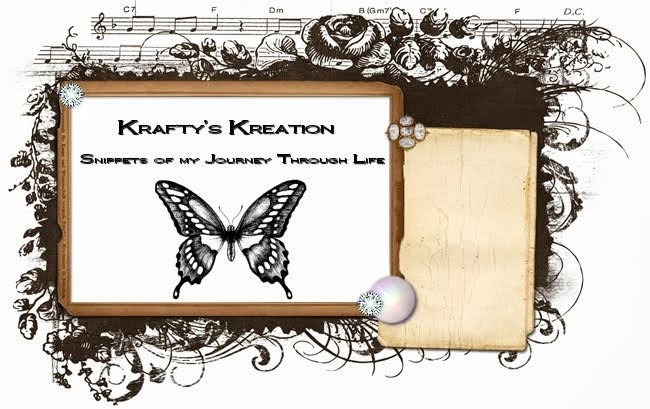 I also decided to join in on the fun at Trina's Life is Scraptastic Blog Challenge for June! It's her second one and since I have joined since the beginning (her first one...LOL!) I decided to try my hand at her new challenge. 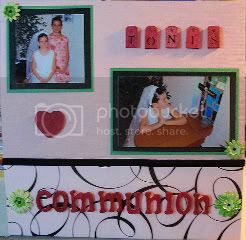 The challenge was to may a 12 x 12 Layout with the colors: Pink, Green and Black. 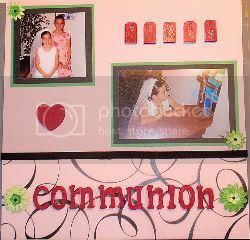 I actually didn't know if I could do it, but I found my niece's pictures from her Communion and her sister was wearing a pink and green dress...WHAT LUCK! LOL!!! It was a lot of fun to do, and can't wait for the next challenge! Now it's back to work time tomorrow and creating will be on hold until the weekend. Get Your Kicks...On Route 66!